FICC - Did you know? On this page we try to pique your curiosity and challenge your knowledge. There are so many things to know about almost all subjects that nobody can know it all. Here we try to push your knowledge to the limit. We invite you to click the links to get more information. The City Despatch Post in New York, a local carrier, was next, in February 1842. The first stamps of Mauritius were printed in only 500 copies. Uganda's first issue in 1895 was typed on a typewriter. Only one unused copy of Hawaii's first stamp is known to exist. Denmark's first stamp, issued on Tuesday, April 1, 1851, is listed in many catalogs as number 2. France's first issue consist of #3 and #8 in the Scott catalog. 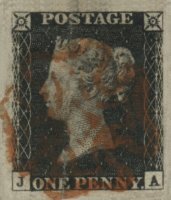 In Afghanistan, until 1891, stamps were cancelled by tearing a piece off. Latvia's first issue were printed on the back of German military maps. Some Tibet #1-5 were printed using enamel paint instead of ink. Natal's first issue was printed without ink. It was embossed on colored papers. Almost all stamps from Danish West Indies's first issuehad to be regummed at a local pharmacy. Lithuania's first issue was printed in one night. The printer had to use three different types for one special character. New countries are added to the long list of stamp issuing entities almost every year!